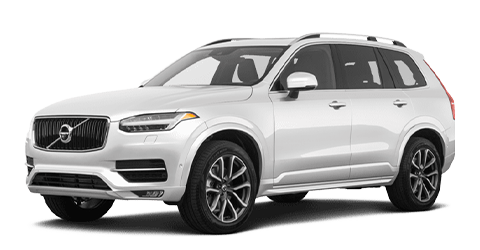 Your preferred Volvo dealership in Clearwater has put together a guide with all of the top features of the 2019 Volvo XC90 so you can do your own comparison against the 2019 Audi Q7. Visit Crown Volvo Cars, and see how the 2019 Volvo XC90 compares to the 2019 Audi Q7 today. We proudly serve drivers from Clearwater, St. Petersburg, Dunedin, and the surrounding areas in Florida. Compare the 2019 XC90 to the 2019 Audi Q7 side-by-side and you will see some differences right away. The 2019 XC90 was designed with sleek lines and premium features to deliver on the Scandinavian elegance you've always wanted. It's German counterpart, by comparison, has an uninspired design that hasn't been updated in a few years. The 2019 XC90's exterior features a signature grille, iconic T-formed rear lights, and numerous wheel options which range from 18 to 22 inches. Inside, you'll find spacious seating for 7, a luxurious cockpit, and leather seating throughout. Come see just how elegant the 2019 Volvo XC90 really is with a test drive. Our Volvo dealership in Clearwater proudly serves drivers from St. Petersburg, Dunedin and the surrounding areas in Florida. With 4 available trims: Momentum, R-Design, Inscription, and Excellence including additional performance options for each, the 2019 Volvo XC90 gives Clearwater drivers the versatility to choose the perfect balance between performance and fuel economy. The 2019 Audi Q7 limits your choices to just 2 trims with 2 options. Every 2019 Volvo XC90 T5 model comes standard with a 2.0-liter 4-cylinder turbo that delivers 250 horsepower and an EPA-estimated 29 MPG highway. Move up to the 2019 XC90 T6 models, and you'll be in command of a 2.0-liter 4-cylinder supercharged engine that delivers 360 horsepower and an EPA-estimated 27 MPG highway. You can also choose the 2019 Volvo XC90 4-passenger plug-in hybrid model with available electric motor which can produce 400 horsepower while delivering an EPA-estimated 30 MPG highway. 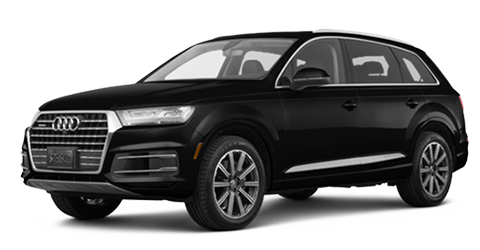 Compare all of these great options to the 2019 Audi Q7's pair of limited options: a 248-horsepower 4-cylinder and an available 329-horsepower 6-cylinder. Want a closer look at the new 2019 Volvo XC90? Then visit your preferred Volvo dealer near St. Petersburg today for a test drive. When you choose a Volvo, you know you're choosing a vehicle that is reliable and safe, and it's no different with the 2019 Volvo XC90. This 7-passenger luxury SUV comes with IntelliSafe™, a suite of innovative safety features that all come standard. Its premium features include Pilot Assist - Semi-Autonomous Drive System with Adaptive Cruise Control and Blind Spot Information System (BLIS) with Steer Assist & Cross Traffic Alert. Meanwhile, its Volvo's City Safety package comes with Vehicle detection, Pedestrian & Cyclist Detection, Autobrake at intersection, and Large Animal Detection. Adding some of these features to the 2019 Audi Q7 will cost you much more. The 2019 XC90 also has additional optional features so you can customize your drive. These features include a 360-degree Surround View Camera, Park Assist Pilot with Front Park Assist, and even an integrated child seat for added peace of mind. Come see all of these great features and more at your preferred Volvo dealership today. Now that you've read all about the 2019 XC90, isn't it time you experienced it all for yourself with a test drive? Don't wait. Get to your preferred Volvo dealer today and see for yourself why more luxury drivers in Clearwater are choosing the new 2019 Volvo XC90 over the 2019 Audi Q7. You can also shop our extensive selection of other new luxury and performance models with options that everyone will love. It's one of the many reasons Crown Volvo Cars is the Better Way To Buy Luxury. Our Volvo dealer is proud to serve drivers from Clearwater, St. Petersburg, Dunedin and the surrounding areas in Florida.